Happy National Coffee Day! 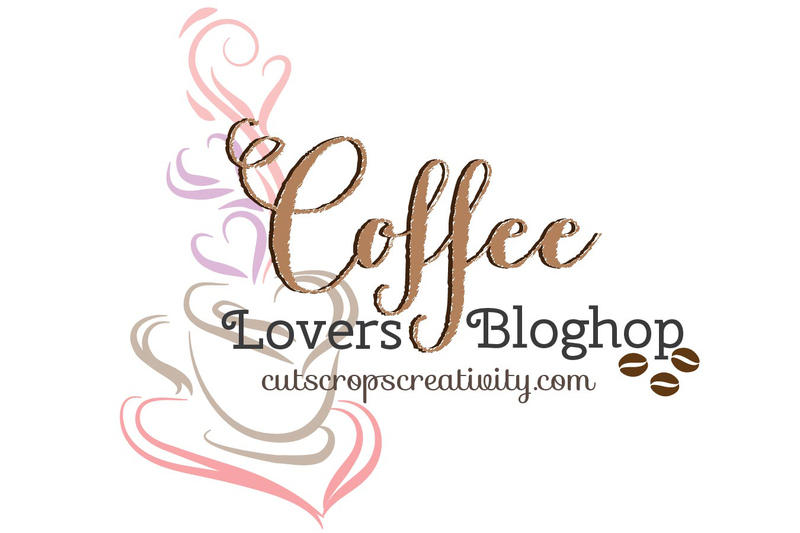 And welcome to the Coffee Lovers Blog Hop! I am participating in a fun hop today w/lots of other bloggers, and there are prizes too! All the blogs are linked through Cutscropscreativity.com, be sure to visit to register for the prizes/rules and get your fill of coffee related projects today! The hop starts at 6am PST! 1. When did you start drinking coffee? When my youngest was about 1 year old. I don’t know why I waited so long, that boy never slept and I spent much of that year half-asleep, while the baby never slept! 2. What is favorite brand (you can name up to three). I stick with what I like, and we brew either Starbucks or Dunkin Donuts at home. We work from home, we’d look pretty silly standing in line at the coffee shop in our jammies! 3. What is the most amazing coffee that you had? Remember where and when? I would have to say my first peppermint mocha…the start of a love story! So a little about my card – I recently bought some DCWV burlap paper and I love how it die cuts and that you can ink and stamp directly on it! I started with that as my base, and added the Vintage Floral background stamp from A Jillian Vance Design. Then I stamped and colored the Tea Time cup with Copic markers. 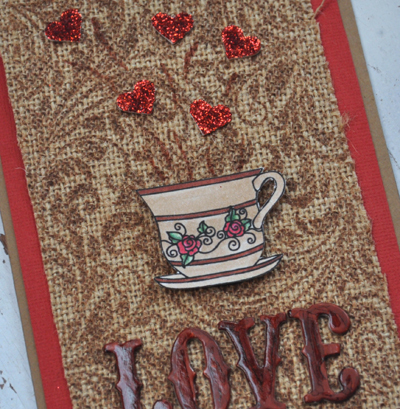 I also colored the chipboard letters, I didn’t like the look at first, but now I think it looks like coffee stains! I used 3D Foam Hearts from Scrapbook Adhesives by 3L® with red glitter above the cup, then added some lines with the brown marker. 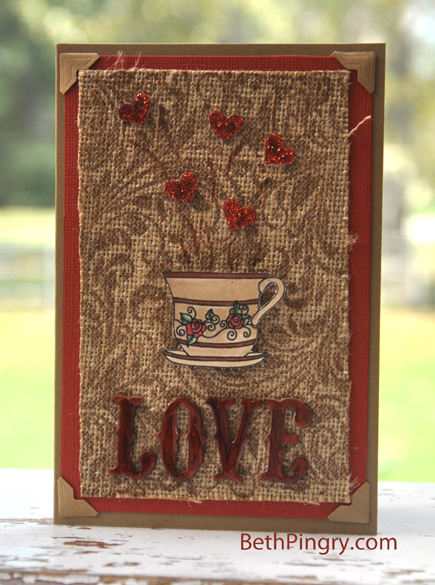 I layered the burlap on to red cardstock, then a kraft card base, using Creative Photo Corners. The cup was with 3D Foam Squares (they stick to anything!) for dimension. Thanks for coming by! Please follow me if you like what you see! Disclosure: I am on the Design Team for both Scrapbook Adhesives by 3L® and A Jillian Vance Design, and have received product for use. My husband wrote MyMarkers at my request, so I didn’t duplicate purchases, now it’s available to you too!